We Provide a 1 Year Warranty on ALL RV Repairs and Service! Recreational vehicles (RVs) and motor homes are hefty machines that require consistent care to ensure your investment is properly protected. 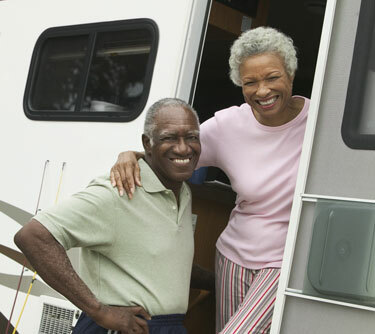 RVs and motorhomes are unique as they encompass most of the amenities found in traditional homes. They also come with the maintenance and repair issues you face with your family car. Here at Ron’s Auto and RV Service Center, we are fully aware of the extra work that comes with RV and motorhome maintenance and repair. RV and motorhome maintenance can be easy to overlook, however, maintenance should never be sacrificed or neglected. We are committed to making your RV maintenance or repair service experience as affordable, fast and efficient as possible. Below is a brief overview of the RV and motor home services we offer in Vancouver, Washington. For more information on the comprehensive RV and motor home services we provide or to make an appointment please contact us directly. At Ron’s Auto and RV Repair we are equipped with the latest in diagnostic tools to handle any problem or service you may need for your Recreational Vehicle. Our mechanics are ASE Certified and our RV Repair Shop is fully equipped to repair all make and models of RV’s including diesel. Our shop has extra large repair bays to accommodate RV’s and buses. Your diesel RV or auto requires specialized mechanics and diagnostics to ensure maximum performance and the long life you should expect from a diesel motor. You are guaranteed that your diesel powered RV or Auto will receive expert care from our ASE Certified Technicians that know diesel vehicles inside and out. We service all makes of diesel engines: Ford, Dodge, GM, Chevrolet, Cummins, Powerstroke and Duramax. As with our other auto repair service, most diesel services and repairs come with a written 2 yr 24,000mi warranty.